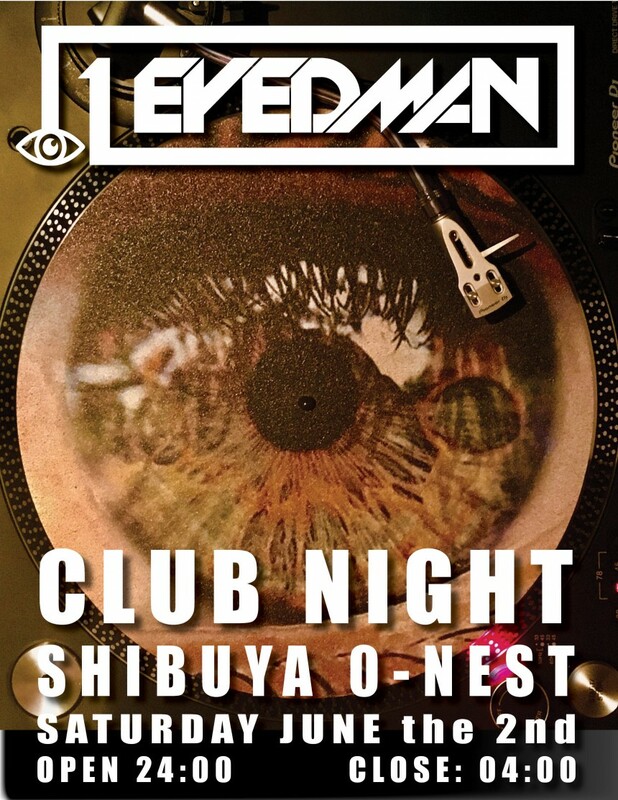 Tokyo band 1Eyedman bringing live music and DJ’s to the Shibuya late night music scene, at Shibuya’s O-Nest. Lets get the summer started with a bang! 1Eyedman is a blend of Japanese, American and English. A distinctive mix of cultures producing an original sound that has a foot in both worlds. 1Eyedman was founded in Japan by James Davis and Nic Scanlan-Dyas who started writing together in early 2013. They teamed up with Gin Kitagawa who worked as the arranger and producer on the album. Gin joined the band on guitar, as did Naoki Kobayashi on lead guitar, Yoji Morimae on drums and Menya Hinga on Keyboard. Their first album was released to all digital stores in April 2014. The album has echoes of the 60s and 70s and 90s. Japanese production blended with western song writing. Global songs that say something about love and life.